4.4 out of 5 based on 97 bloggers and 11 commenters. 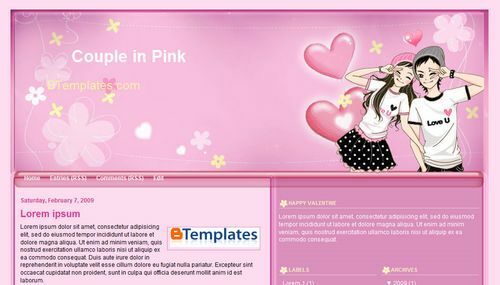 Couple in Pink is a free blogger template with 3 columns, right sidebar and girly looking. Excellent template for blogs about anime or love. Thank you for developing so many beautiful blogs . Looks like Lindsay Lohan and her girlfriend.